At the last full Council meeting on Wednesday, 16th January, the RCT Labour Group successfully introduced a Notice of Motion calling on the UK Government to immediately reverse the callous cuts to Police forces across England and Wales. The nine consecutive years of grant cuts and cost pressures imposed centrally by the UK Tory Government has seen the real value of the budgets given to the South Wales Police reduced to the equivalent received in the 1980s, with around a third of the Police Grant cut, and the number of police officers now within the force is comparable to the number employed in 1979. At the Council meeting, Labour representative for the Rhondda ward, Councillor Rob Smith, who introduced the Motion, informed Members that despite the Government’s proclamations of delivering on its promise to protect English and Welsh forces’ budgets in real terms, the reality is starkly different. More than half of the new money announced for the 2019/20 financial year is expected to be raised by the taxpayer after the UK Government empowered Police and Crime Commissioners to double the Policing Precept element of Council Tax. Labour’s Leader of the Council, Councillor Andrew Morgan, said: “The UK Government has once again shirked its responsibility to provide a fair funding arrangement for Police forces and has instead transferred the burden of footing the bill directly on to the Council tax payer. “Aside from being a hugely unfair arrangement, this is also an unsustainable means of funding Police forces in that it plasters over what is actually a significant long-term issue. This issue is exacerbated in the South Wales Police Force as, despite hosting major events such as the Champions League final, the current funding formula does not allocate additional funding for the policing of Cardiff as the capital city. Forces in both Edinburgh and London are allocated the funding, so the refusal to review the formula highlights the Government’s continued disregard for Wales. “Since 2011/12 South Wales Police has had its Police Grant cut by around £45m, which is the highest reduction in Wales when compared to other centrally funded public services, and this has contributed to a reduction in the number of officers to around 2,800 from 3,400. 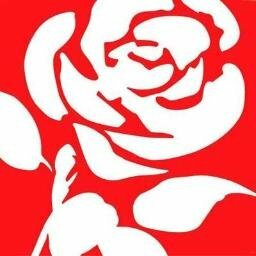 Labour’s Cabinet Member for Stronger Communities, Well-being and Cultural Services, Councillor Rhys Lewis, who seconded the Motion, added: “The true effects of the Tory Government’s cuts to frontline Police forces across England and Wales are staggering.